hAmanda started dancing at the age of 4 and has danced at the London Palladium, Royal Albert Hall, Her Majesty’s Theatre, London, Theatre Royal, Drury Lane, New Victoria Theatre, Woking and Disneyland Paris. She has performed in the Touring and London Productions of Joseph and His Amazing Technicolour Dreamcoat, and has participated in many Festivals. Amanda has completed her Licentiate in IDTA (International Dance Teachers Association) and has a Diploma in Dance Education in ISTD (Imperial Society for Teachers of Dancing). She is also a fully qualified aerobics instructor, has a BA(Hons) in Leisure Management and Module 1 Acrobatic Arts Certification. Amanda is also a certified teacher of Progressing Ballet Technique and Rosina Andrews Leap Surgery® and Pirouette Surgery®. 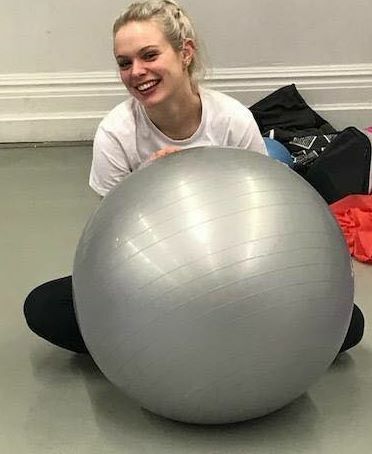 She has studied the Rebecca Davies Radar Technique and Alixa Flexibility as well as reading many research papers on dance conditioning, flexibility and strength training. Amanda continues to enhance her teaching by attending ISTD courses during the year these give updates on all the graded examinations, ensuring her students enter examinations with the most up to date knowledge. Amanda has been teaching various genres of dance for a number of years. These include Ballet, Tap, Modern, Jazz, Limbering, Acrobatics, Musical Theatre, Street and Freestyle, putting children and adults through numerous exams and producing and directing many shows including choreographing for shows at Her Majesty's Theatre, London and the London Palladium. Away from the dancing school Amanda has successfully taken many teachers through their IDTA teaching exams and more recently she has devised her own syllabus for Primary Schools and has taught in several schools in Surrey. The Primary school classes are adapted to each individual class or year group so that they relate to subjects they are studying at the time. Using the children's imaginations and natural movement are key to making these classes work and it is great to bring out the creativity in the students. Amanda has successfully produced and directed Theatre Arts half term and summer schools, where the children would, for one week only learn songs, dances, script and create the props and scenery for a show and at the end of the week would perform to an audience of family and friends. For the pre-school children Amanda created Mini Music and Movement and has taught these classes through SureStart Centres and privately in church halls, introducing young children to rhythm and movement with their parents or carers enjoying the class with them. Amanda also volunteers her time to teach classes at various Special Educational Needs Schools and any clubs that are run by volunteers such as Cubs and Beavers. Since Amanda acquired Dance Education Centre the students have taken part in exams, shows and festivals, which has increased their confidence, technique and enjoyment. The school inspires to give excellent training but also to have fun and enjoyable classes. Dance and the theatre are Amanda's passion and she hopes it will become your child's passion too. Amanda is married to Damion and has four children, Ewan, Ciara, Aidan and Caitlin. Melanie's love of dancing started with ballet at the age of three before taking up tap and modern, followed by national dance, jazz and street dance attending classes at Lorraines School of Dance (where she was awarded the Junior Progress, Senior Choreography and High Achievement Awards), Encore Theatre Arts, London Studio Centre and Easter School at Doreen Bird. She was both a junior and senior member of the Regional Dance Council for talented ballet dancers, performed in five professional pantomimes as well as in shows at Her Majesty's Theatre London, Watersmeet Theatre and numerous dance Celebrations by the ISTD Imperial Ballet Teachers Group and Dance Festivals. Melanie has a Diploma in Dance Instruction (DDI) from the Imperial Society of Teachers of Dance (ISTD) and is a certified teacher of Progressing Ballet Technique. Melanie is also a keen musician, attending singing lessons from the age of twelve with the highlight of performing at the Royal Albert Hall and, prior to starting a family, was a Soprano with Elmbridge Ladies Choir and subsequently member of Thula Mama Walton-on-Thames. Melanie was fortunate, under the tutelage of renowned pianist Olwen Morris at Watford School of Music, to study the piano, receiving the Freda Dawe award for achievement and taking her Grade 8 at the age of seventeen. Melanie has a bachelors degree in Russian History from University College London (UCL) and a Masters in Human Resource Management & Organisational Analysis from Kings College London and is CIPD qualified (Chartered Institute of Personnel & Development). She joined a Global Oil Company on their graduate program working in various locations around the UK before moving to work in a Global Investment Bank in London and then starting a family, by far her most challenging role to date! Having started as an assistant dance teacher at the age of 14, Melanie is delighted to be returning to her teaching roots in both dance, singing and piano. Melanie is married to James and has daughter Annabel and son Hayden. Hannah started dancing at the age of two and went on to further her training at the age of sixteen at the Italia Conti arts centre, where she gained a diploma in performing arts and ISTD teaching qualifications in Imperial Ballet, Tap dance and Modern theatre dance. During her training, she gained an IDTA freestyle associate qualification. Hannah also studied at the Kingston teachers’ training college where she furthered her qualifications to an even higher level. Hannah has done a variety of jobs since graduating. These include music videos for up and coming artists, music projects with her singing, a variety of shows and dance events. Hannah was a featured singer/dancer on the Celebrity Cruise line, travelling the World and working also as a dance instructor on the ship teaching Ballroom and Latin. Hannah is married to Karl. Hannah has a lot of teaching experience and is very passionate about it, gaining 100% pass rates! Sam has trained at Dance Education Centre as a student and in the last couple of years has been studying for her IDTA teaching exam and now holds an Associate qualification with Distinction. She has also continued her studies and is a Module One Certified Teacher of Acrobatic Arts, a Certified Teacher of Progressing Ballet Technique and is currently training for her ISTD DDE at the same college Amanda attended. Sam teaches all ages from Pre-school to Adults in Tap, Modern, Ballet and conditioning as well as our very popular Acrobatics classes.